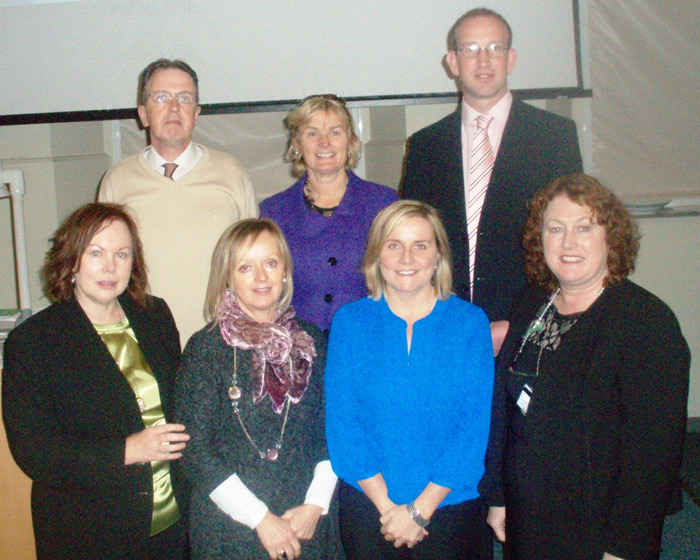 The Nursing Network of Intellectual Disability (NNIDI) held a Masterclass on the 7th November 2014 in the School of Nursing & Midwifery, Trinity College Dublin. This was the third national event hosted by NNIDI. The overarching aim of this group is to promote and support networking among nurses working in the area of intellectual disability in Ireland. It is hoped that this will advance best practice in the care and provision of services to people with intellectual disabilities. The membership of NNIDI is open to all nurses working in intellectual disability services in Ireland. The masterclass was Category 1 approved by NMBI, and attendance was free to those working in the Intellectual Disability field. 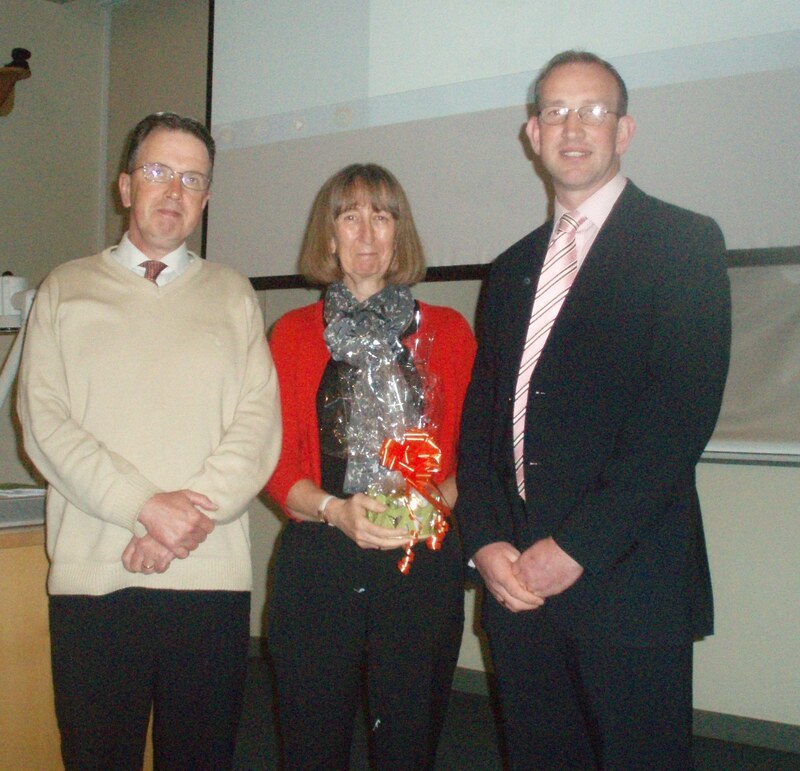 The opening address was delivered by Ms. Therese Danaher who was the outgoing Chairperson of NNIDI. Mr. Paul Keenan, incoming Joint Chairperson gave a presentation on the aims of NNIDI and their plans for the future. This first session was facilitated by Dr. Ruth Northway, a Professor of Learning Disability Nursing in the University of South Wales; she delivered a very engaging presentation entitled Making Connections to Enhance Professional Practice. Dr. Northway teaches on a range of undergraduate and post graduate courses – she has research interests in the health needs of people with learning disabilities and in safeguarding people from abuse. Dr. Northway actively involved the audience in group activity and discussion on how to develop services and strengthen networking amongst nurses. The aim of this session was to support and empower nurses working in the area of intellectual disability nursing to develop effective network strategies. The second session was facilitated by Ms. Kathleen Walsh, Professional Officer of Standards of Practice and Guidance for the Nursing and Midwifery Board of Ireland (NMBI). Ms. Walsh’s responsibilities in this role include giving support/advice on professional practice, coordination of the Ethics Committee activities, and development of professional guidance. In addition, Ms. Walsh is project-managing the dissemination of the new code of professional conduct and ethics, and the revision of the scope of nursing and midwifery practice framework. Ms. Walsh gave the first insightful presentation on the New Code of Professional Conduct and Ethics for Registered Nurses and Registered Midwives. This was of particular interest to nurses in the audience, as it enables them to have a first-hand operational knowledge of the code of professional conduct and ethics. The third session was facilitated by Dr. John Sweeney, an independent consultant who is currently undertaking a project with the Nursing and Midwifery Board of Ireland to develop new Standards and Requirements for Nurse Registration Education Programmes (2015). Dr. Sweeney’s area of expertise includes dual diagnosis of mental health problems among people with an intellectual disability, nursing historiography, visual thinking strategies, curriculum design and evaluation, and inter-professional teaching and learning. This presentation provided insight into the progress of the BSc. Nursing Curriculum Review, and raised awareness of the revision of the requirements and standards of the undergraduate nurse education programme in Ireland. The presentation evoked discussions in relation to the potential changes, and the impacts this would have in the area of intellectual disability. The closing remarks were delivered by Dr. Owen Doody, who is incoming Joint Chair person of NNIDI. This masterclass provided a forum for consistent and timely communication of relevant information pertaining to nurses working in the area of intellectual disability. The undergraduate student nurse education programme is constantly evolving, as are policies and procedures relating to students. The masterclass provided a forum to share this information in a timely and efficient manner. Preceptors are entrusted with clinical supervision, guidance, teaching and competency assessment of undergraduate student nurses. Therefore, it is essential that they are aware of the code of professional conduct and ethics, and how this impacts in practice, in the area of intellectual disability. This masterclass was also beneficial for clinical/practice nurses, as it acknowledged the important role of the nurse in clinical practice and education, and the importance of networking within the profession. The feedback from participants was that the masterclass was very beneficial; it provided a forum for networking with staff from other organisations, it enhanced knowledge in relation to the New Code of Professional Conduct and Ethics for Registered Nurses and Registered Midwives, and the implication this will have in and on practice. Participants also highlighted how beneficial it is to gain insight into the developments in the undergraduate curriculum and standards for practice placements. Karina O Sullivan is a committee member of NNIDI, and she currently works as a clinical placement co-ordinator within the Daughters of Charity Disability Support service in Dublin. Catherine Timoney is a committee member of NNIDI – she has worked as a nurse in the Intellectual Disability field for over 30 years.